This entry was posted in Paper DIY Projects on January 29, 2017 by admin. 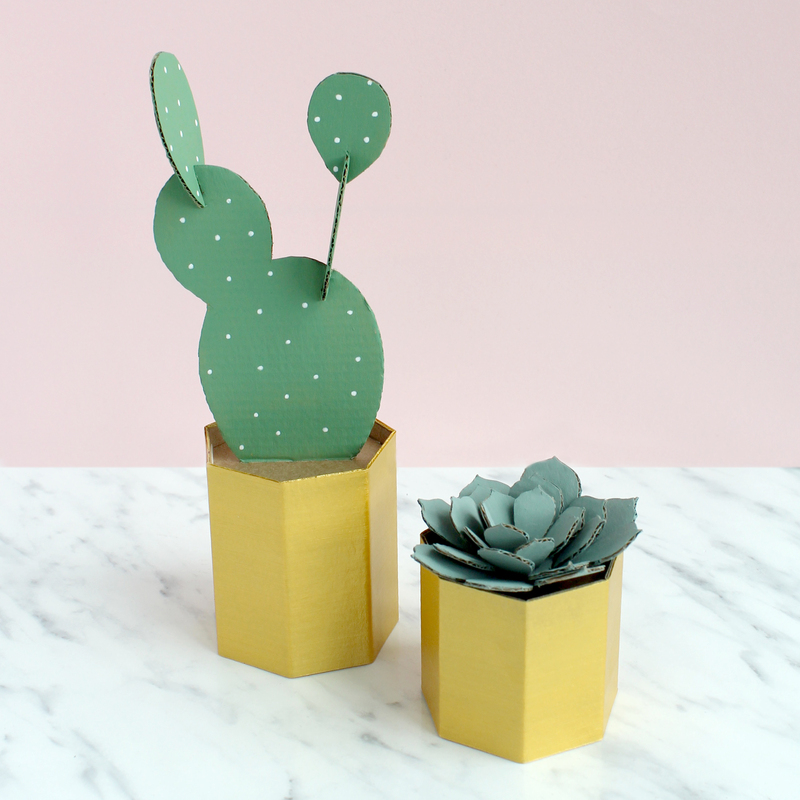 Here is the full step-by-step tutorial for my cute ‘Plants You Can’t Kill’ DIY Cardboard Cactus and Succulent Pots, as featured in Lucky Dip Club’s ‘Girl Planet’! Click here for the template and keep reading for the instructions! 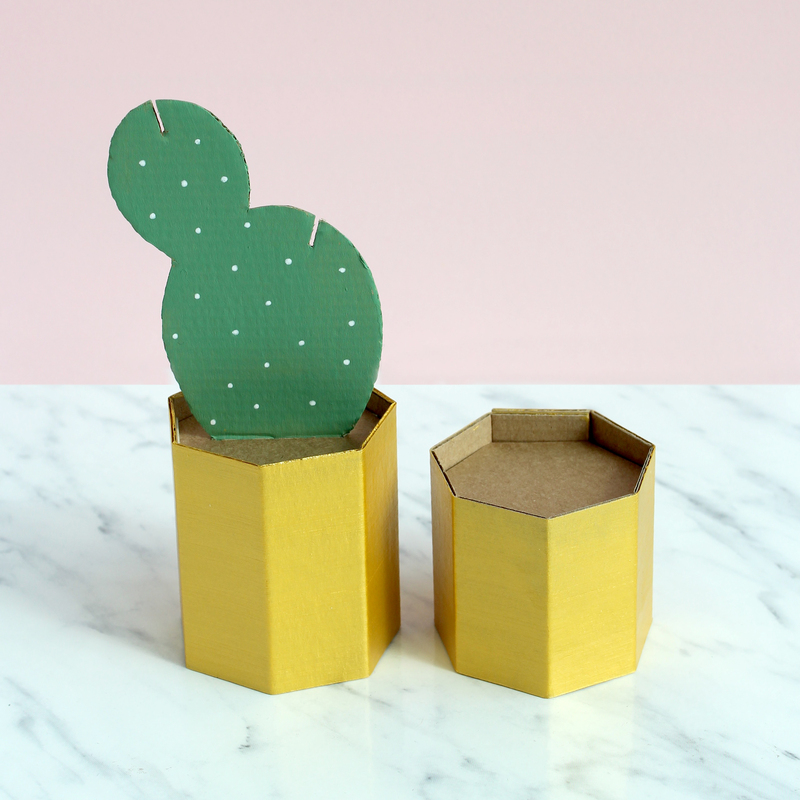 Download the template, then print out and draw out the pieces onto your cardboard as shown – the cactus and succulent pieces, plus two rectangles, one measuring 22x7cm and the other 22×5.5cm. Both rectangles are divided into 8 equal sections as shown, at 2.75cm increments, which will be score lines. 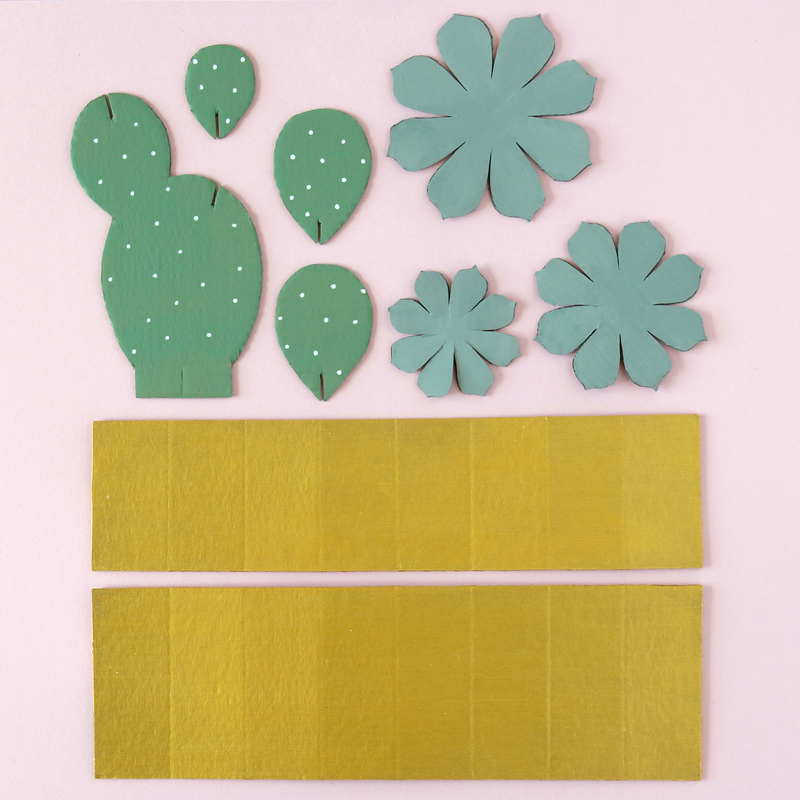 Cut out all of the cactus and succulent pieces. Cut out the two rectangles, only cutting around the edge of each. Then, using the craft knife carefully score along the score lines. Paint the pieces as shown on both sides, colour with markers or cover the pieces with coloured paper. Use glue or double sided tape to stick one end of each rectangle onto the other, to create two hexagonal tubes. 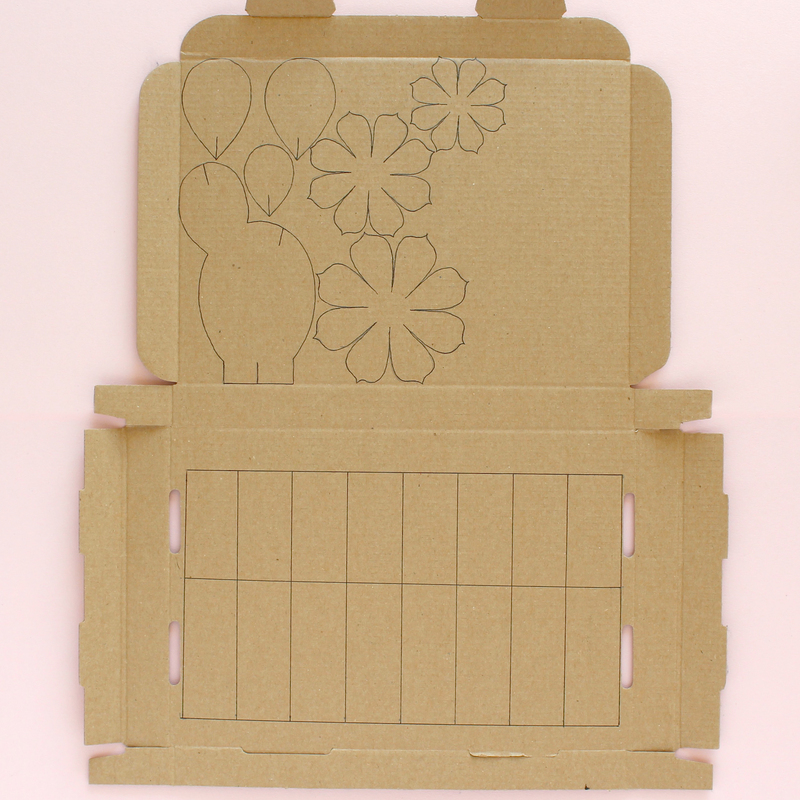 Draw around the inside of the end of each onto the left over cardboard, and cut out. Cut a slit in the centre of one hexagon to fit the bottom of the largest cactus piece and push this through, folding the tabs in either direction. Secure with tape or glue. 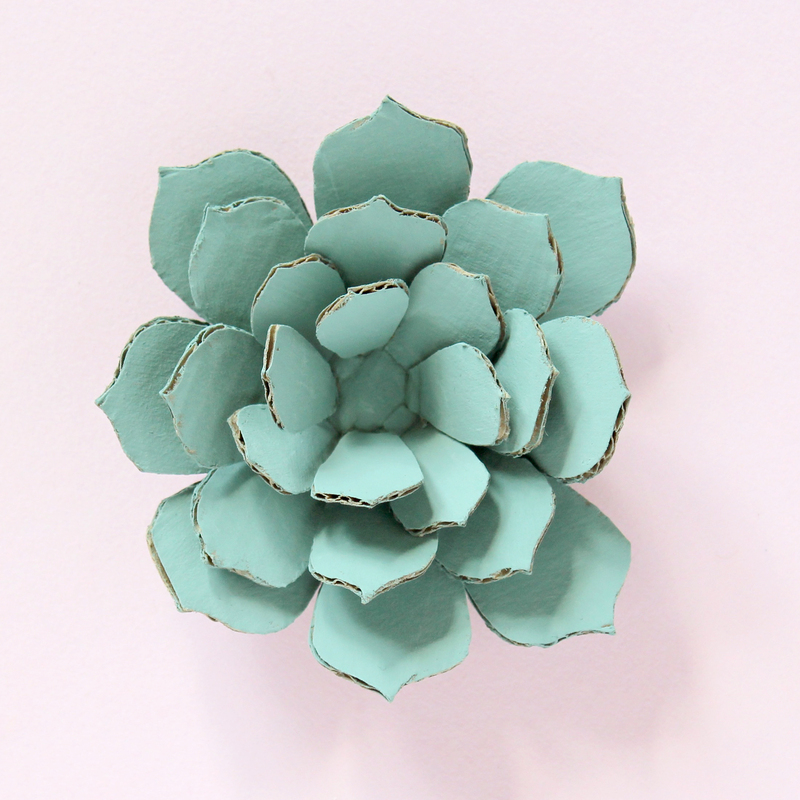 Fold each ‘petal’ of the succulent pieces upwards. 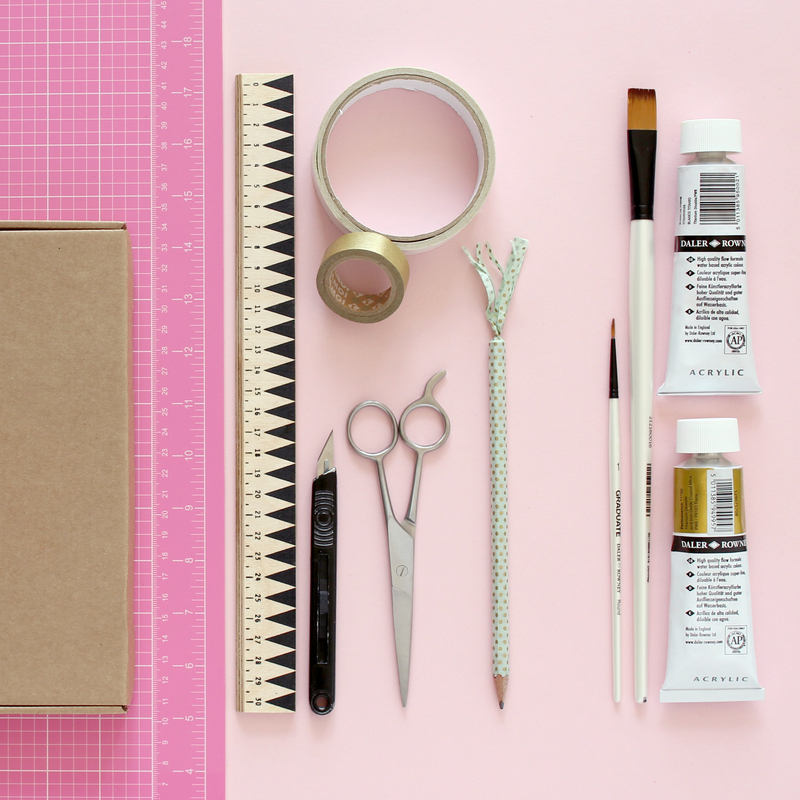 Glue the smallest succulent piece centrally onto the medium sized piece, then the medium onto the largest. Decide which plant you want in which tube. 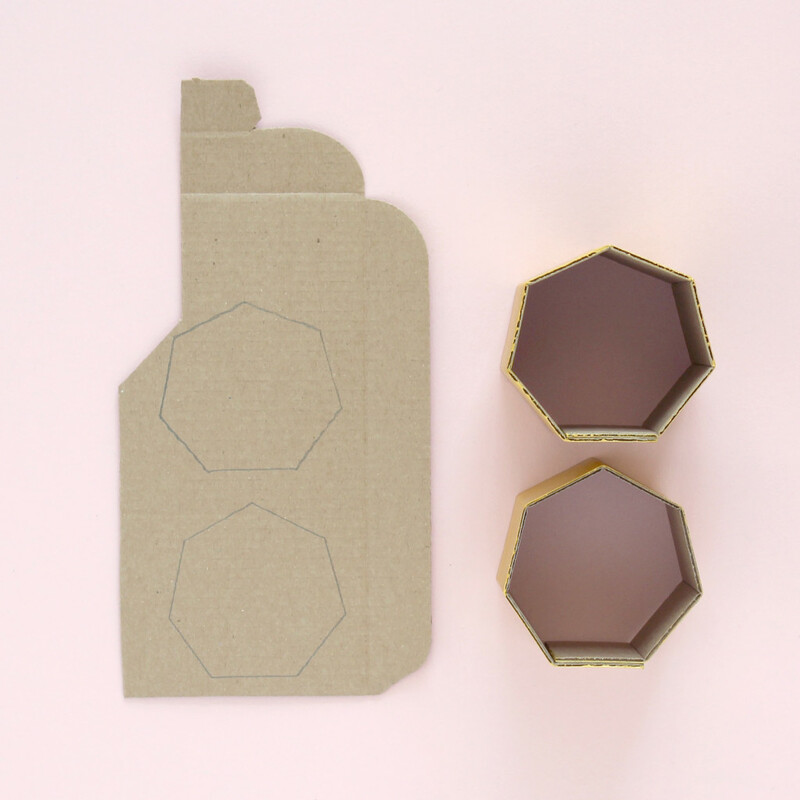 Push one hexagon slightly down into each tube and attach with tape from underneath the hexagon, inside the tube. 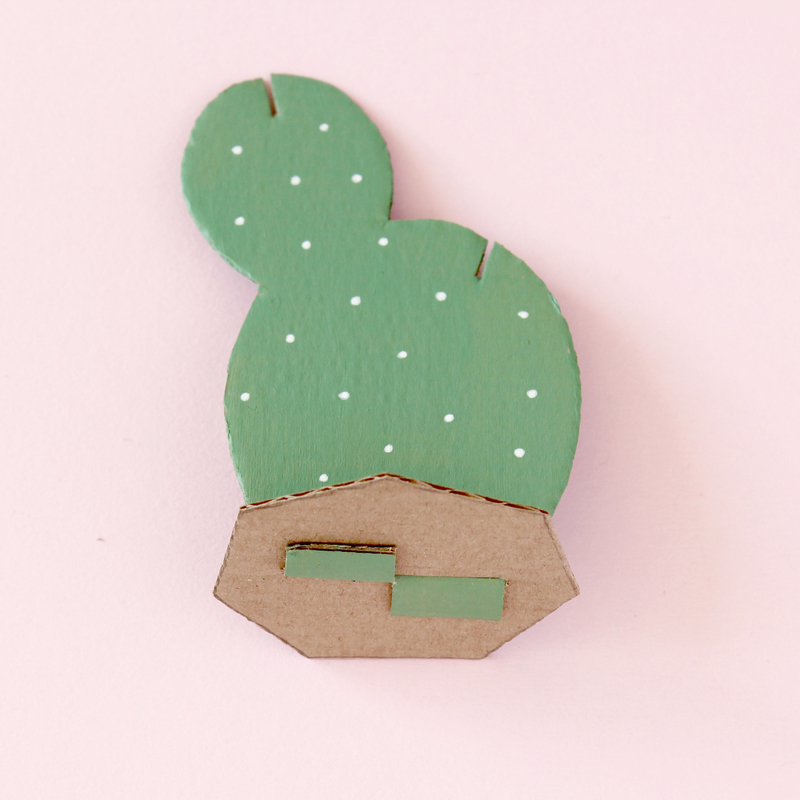 Attach the succulent to the plain hexagon using either double-sided tape or glue, and slot the remaining cactus pieces on to the cactus. Voila, two plants you can’t kill!